The Portuguese are prolific crab eaters. My family immigrated to the Northeast U.S. and brought their love of crabs with them. A staple for crabs in New England are the Caranguejo Real, or King Crab. The king crab is the cold water long legged titan of the frozen ocean. Packed full of delicious meat, king crabs legs have a salty sweet flavor and are excellent for a variety of seafood dishes. 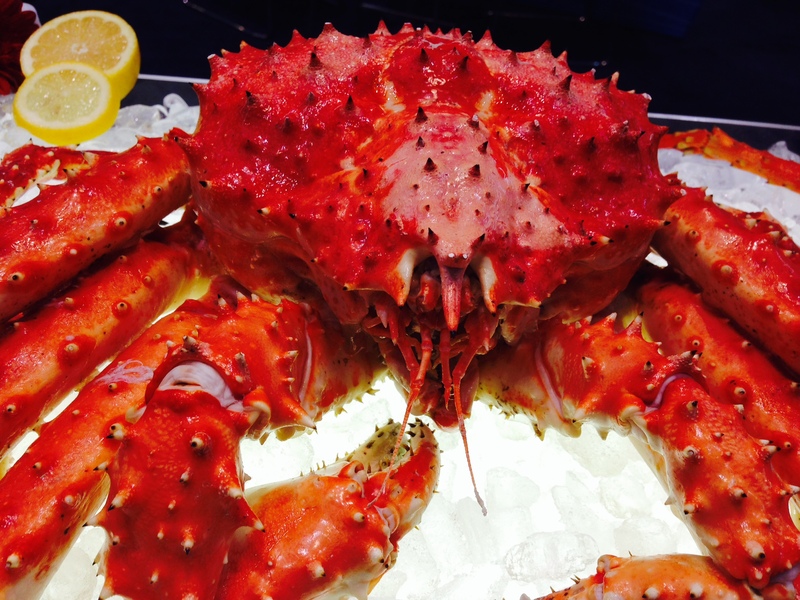 King crabs are steamed soon after being caught so they are precooked. Preparing them at home is usually only a matter of reheating. One pound of king crab legs is the usual serving for one person feast. By far the best and simplest method of preparing king crab is just steaming it. By adding some garlic and “pimenta” hot pepper while they cook, you’ll smell the aroma of traditional Portuguese cuisine, as my grandmother used to steam ‘marisco’! 1) Melt the butter in a saucepan and keep it heated on low heat. 2) Set a steamer tray inside a large pot and pour enough water to reach an inch in the pot. 3) Bring this to a boil before laying the crab legs on the steamer. 4) Cover the crab legs with the chopped garlic and pimenta. 5) Now cover the pot and steam for 5 to 10 minutes on high. 3) Once they are done remove and place them on a serving platter. 4) Serve with the melted butter and lemon wedges on the side.